Sometimes there are issues with grading or excavation that a simple sidewalk won't work. 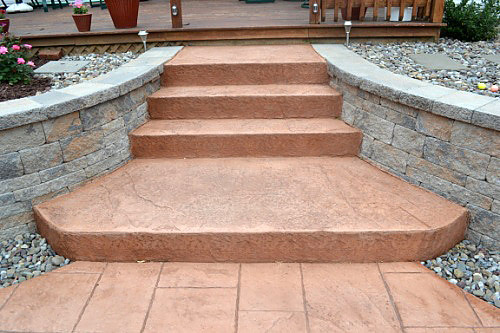 DanTam can create steps for you to allow for an amazing entrance to your new outdoor living area that creates full anticipation of what is to come. These can also be done in a different pattern, as well. 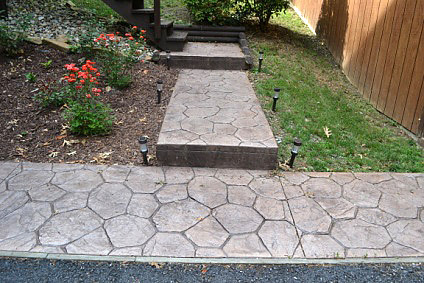 We at Dan-Tam Concrete are one of the most reputed companies in the stamped concrete field and have been providing outstanding solutions to clients in Dillsburg, PA and the surrounding areas for almost 30 years. 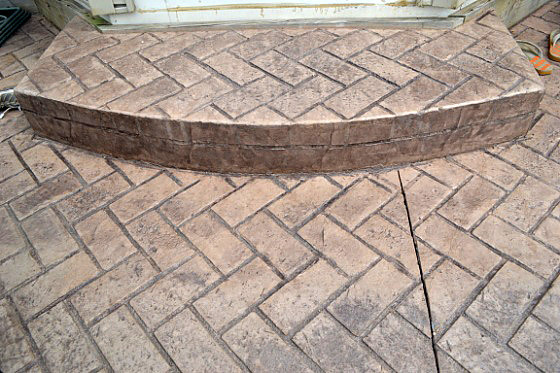 With the vast experience we have in this industry we know exactly how to engineer these features to perfection and create well-balanced landscapes that will add to the value and beauty of your home. 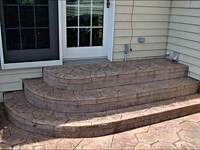 Designing and installing concrete steps or tiered areas in a landscape takes a lot of creativity, experience and skill. Since every landscape is different, our team of landscape designers makes sure that they survey the available space before providing any kind of solutions. The objective is to ensure that the tiered spaces flow into each other beautifully and create a seamless transition from one level to the next. 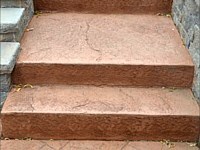 It is also very important to focus on safety, making sure that the surfaces have the right amount of traction. 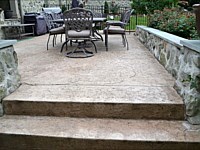 This is where our expertise in the landscape stamped concrete space comes into the picture. 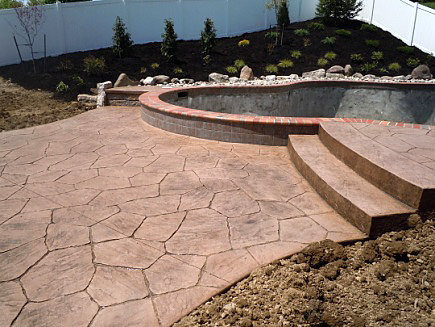 This is our specialty, and we can provide you with a range of designs, textures and solutions that will be perfect for your landscape. 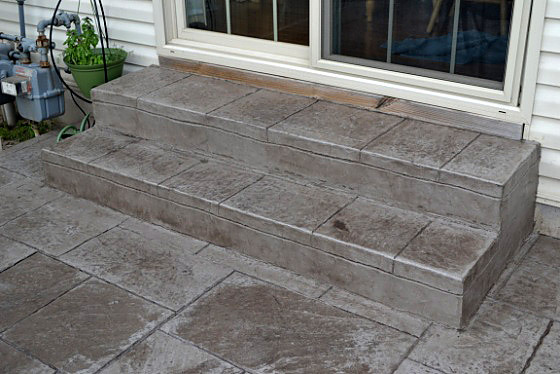 Steps leading from your home to a patio. 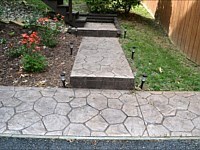 Concrete garden steps leading from a patio into the yard. 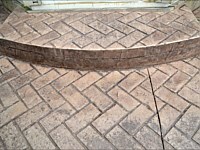 Tiered concrete areas for terraced landscaping. 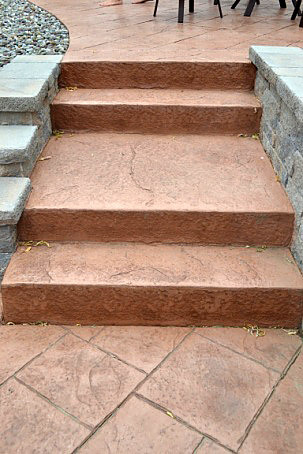 Steps built into planter spaces in multi-leveled landscapes. 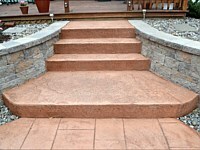 Steps leading to a poolscape or any other terraced areas of your landscape. 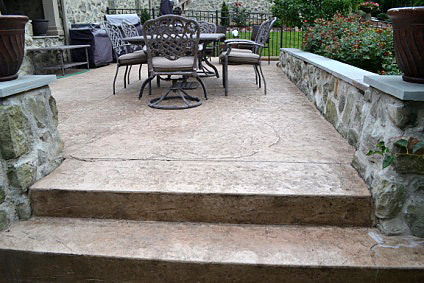 When you hire us, you can rest assured that expert concreting professionals are handling the job. 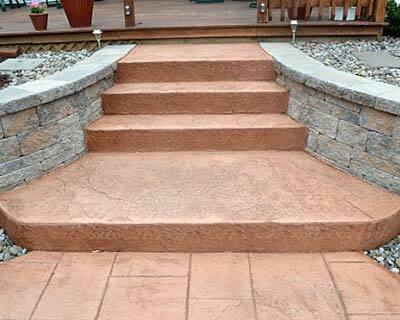 The use of high quality materials and the best workmanship goes a long way in creating outdoor steps in landscapes that are designed and installed to the highest industry standards. 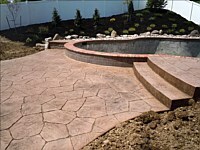 Concrete is available in a range of colors and hues, and we have the ability to provide you creative and unique solutions that reflect the overall theme and concept of your landscape. 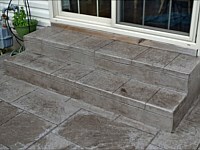 Creating superb concrete steps and tiers is something we do with a great amount of expertise and attention to detail. 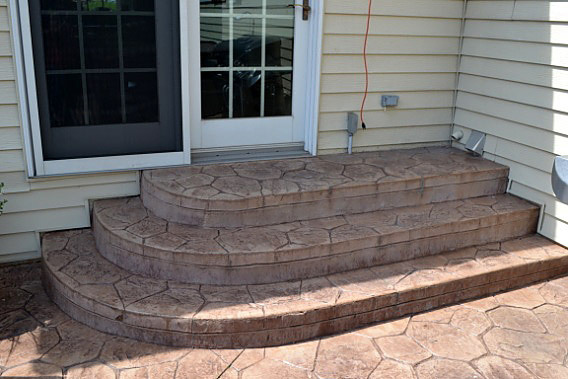 If you want custom concrete tiers and steps solutions, feel free to contact Dan-Tam Concrete at (717) 528-7133. You can also send us your queries and project specifications via this Contact Us form and we will revert shortly to have detailed discussions about your requirements.